I was a Cub Scout. As a kid I would cross the street to the United Church to attend Beavers and then Cubs. 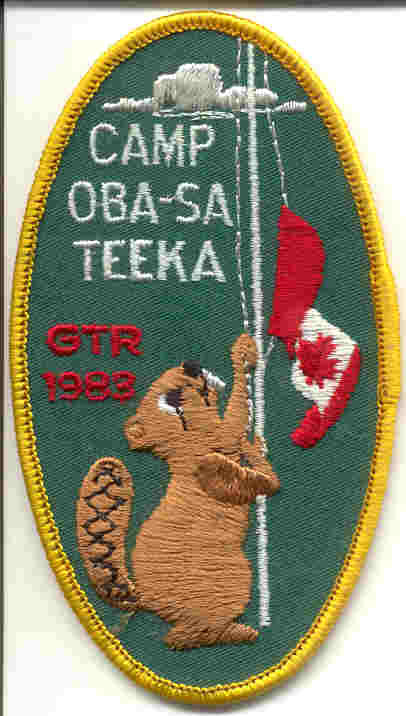 One of my fondest memory of being a Cub Scout was the summer we attended Camp Oba-Sa Teeka for a weekend. It was 1983 and I was only nine, so a weekend of playing survival games, hearing ghost stories and visiting the outhouse in the middle of the night only to learn it was booby trapped left a whack of memories. Here's the badge I received following the trip.